Early morning golfers, joggers, and dog walkers called 911 in droves after seven to ten shots were fired from a black Escalade in the 3600 block of Recreation Drive Sunday morning. No one was struck by the bullets, which went flying at 7:04AM. 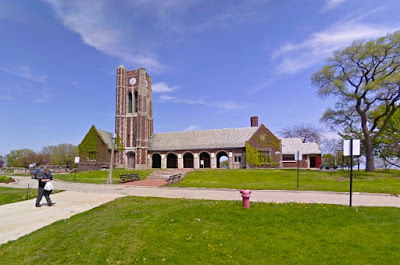 As CWB Chicago has reported frequently, the Rec Drive area is a popular hangout for several primarily-Hispanic street gangs. Police believe the intended target this morning was a group of about six Spanish Gangster Disciples from northwest suburban Elgin. Officers questioned members of the group, but no arrests were made. Multiple witnesses reported that the shots came from a black SUV with tinted windows that was occupied by two Hispanic men and two Hispanic women. The vehicle fled north on Recreation Drive at a high rate of speed after an occupant fired shots near the park tennis courts. Police returned to the area shortly before 8AM after one of the intended targets threatened to kill himself by jumping into the lake from the nearby seawall. Officers were able to take the “emotionally upset” man into custody. He is being evaluated at Thorek Hospital. Support CWB's efforts by visiting our company store for "Helmont" CTA-themed shirts, advertising opportunities, and our much-appreciated Tip Jar.